In the West we are so used to the rubbish man coming along and "taking away" all of our unwanted rubbish. But where is away? What happens if there is no rubbish man? Unfortunatly none of these are an answer to the problem. 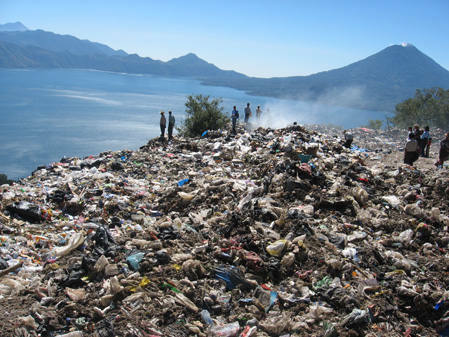 Rubbish is creating a huge global problem. Millions of square miles in the ocean is full of it, animals, dolphins, turtles etc are dying from eating it and we continue to throw it away without thinking. Recycling is another controversial subject. It is transported often long distances, even overseas to energy intensive factories to be turned into something else. In the majority world there is little recycling and there seems to be no solution. Around the world people have started building homes, schools and all sorts of other buildings made out of bottles and tin cans. 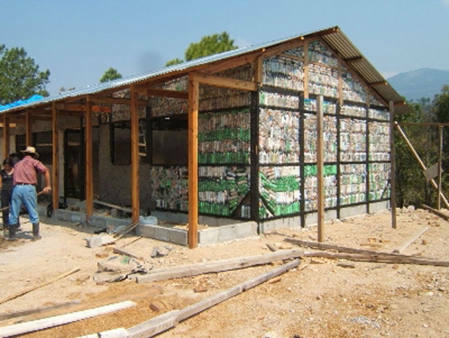 Pura Vida are the first organisation in Lake Atitlan, Guatemala to work with the eco-bricks and where I first discovered people building out of the villages rubbish. All around the world there is a huge problem with plastic rubbish so it is wonderful to see a solution which turns rubbish into a resource. 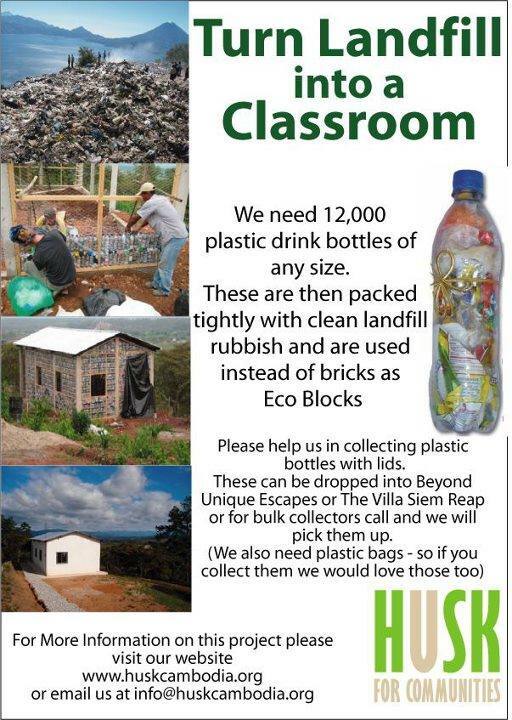 Building with eco-bricks is great where there is NO recycling, if you live in a country where there is please do not start filling eco bricks with the idea of sending them overseas. 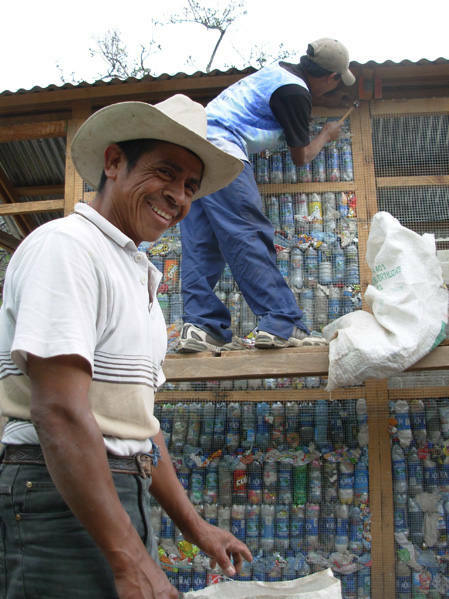 Pura Vida started by building walls in Guatemala with the bottles. 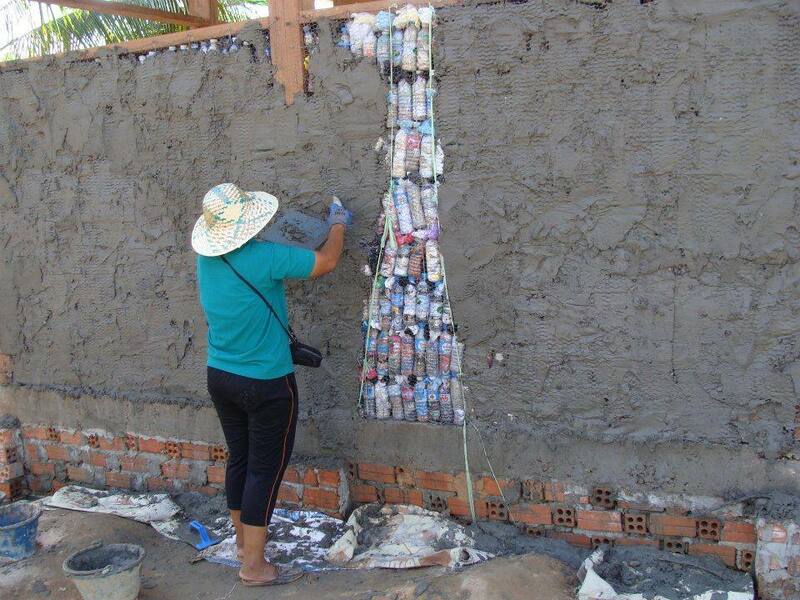 This is a fantastic, simple, practical way to clean up a village. 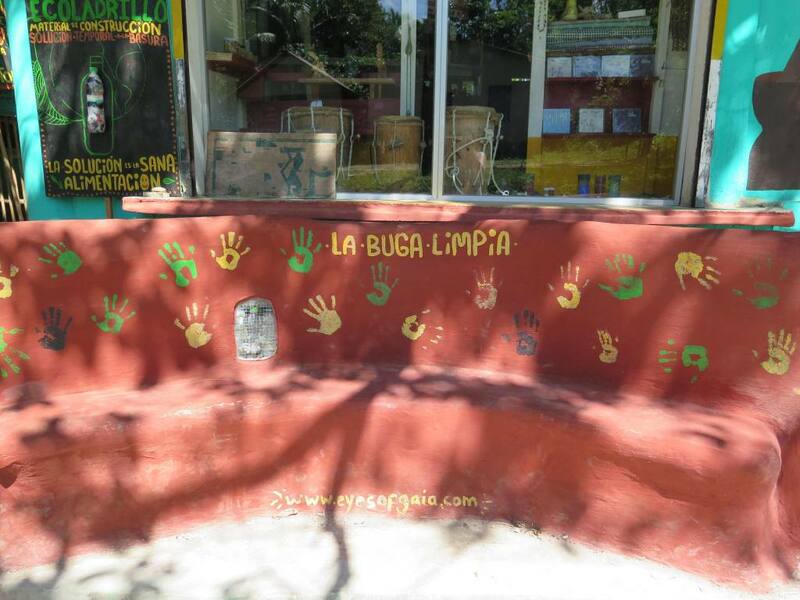 Painting the walls with murals brings education to the projects as well. Leaving a small window shows that this wall is not what it appears but is in fact built with plastic bottles filled with rubbish. Off of Bali is a small island called Gilli Air. They still have no cars or motorbikes and life is so peaceful. Their biggest problem is rubbish, some they ship off to recycle the rest is burnt. 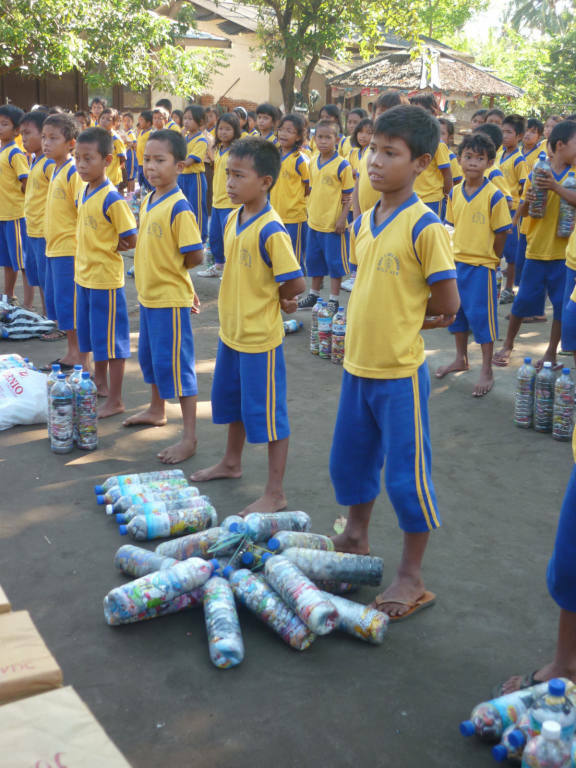 I visited the local school where in one day 340 large bottles were collected filled with rubbish. 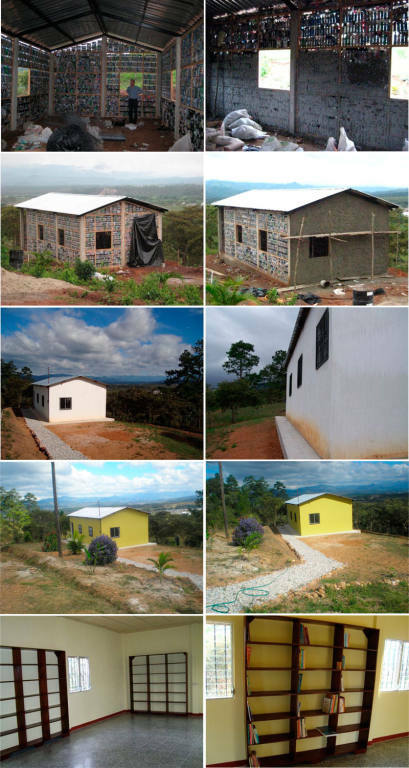 They are starting with a wall and then looking to build a new classroom. The beach was cleaned and every one was very excited about returning this paradise island to how it once was, free of plastic. Giving talks to the villages in Cambodia about a solution to their rubbish problem. This entails meetings with the village chief followed by presentations to the whole village. 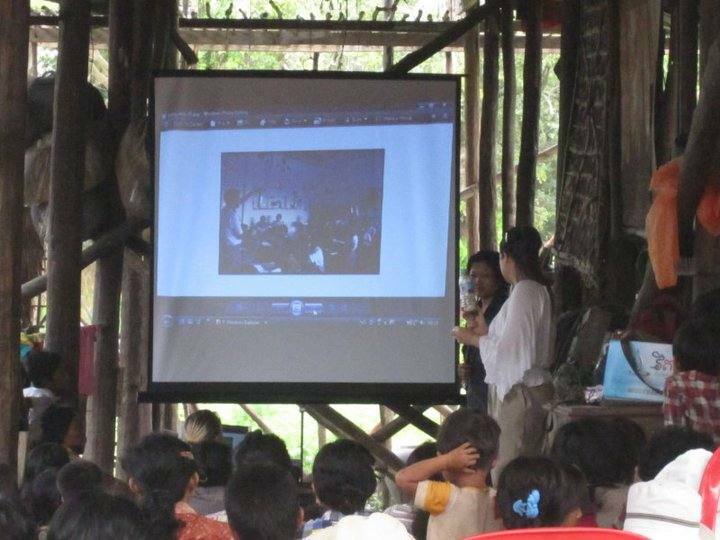 With a translator and support from a local school we used a small generator, screen and projector to give a slideshow. This is an example of the promotional material used to encourage the collection of bottles in tourist areas near Angkor Wat. Translator and guide Prokrotey Khoy continued and coordinated the project with the assistance of HUSK Cambodia. 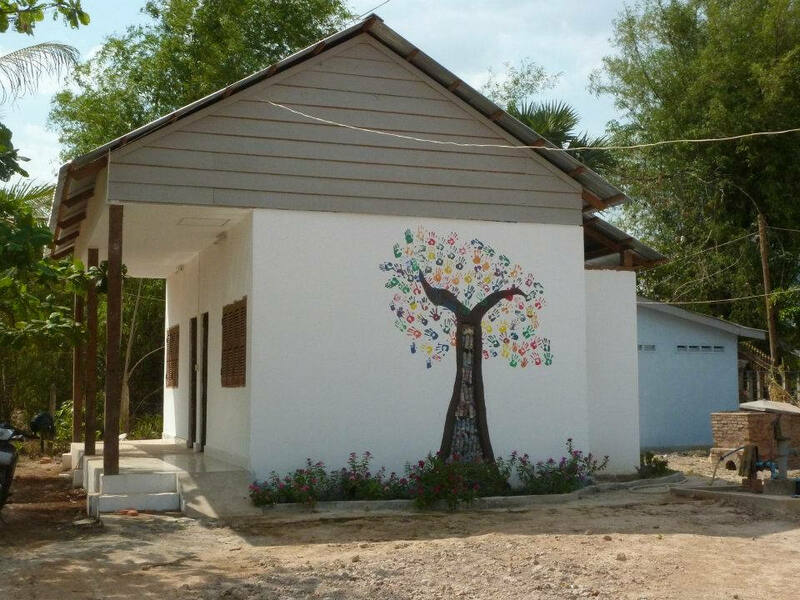 A beautiful design on the side of the health centre shows the 'window of truth', the bottles inside the building which then becomes the tree. All the hands represent those who worked on the centre. Previous photo shows before and after. 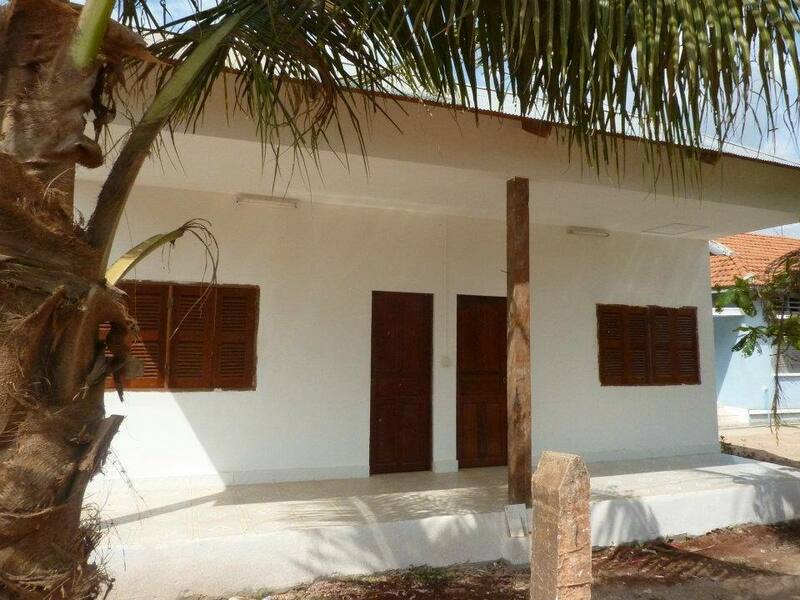 The health center completed using the eco-bricks from the villages rubbish. Once rendered with either cement or ideally adobe/cob no one would believe the building is not made of conventional cement breeze blocks. 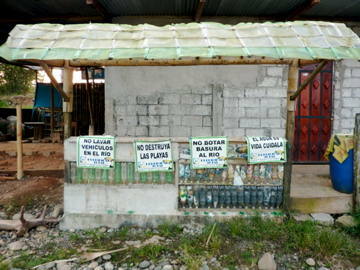 I coordinated the building of 3 small food outlets for a community in Ecuador out of bottles filled with rubbish. An ecological day was organised where the schools, colleges and government could come to learn. 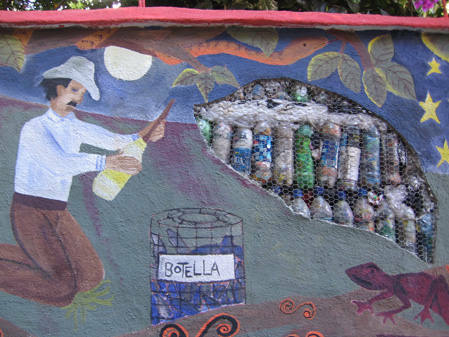 A competition encouraged everyone to bring bottles and clean up their neighborhood. This event showed how this fantastic practical low cost solution can turn rubbish into a resource. 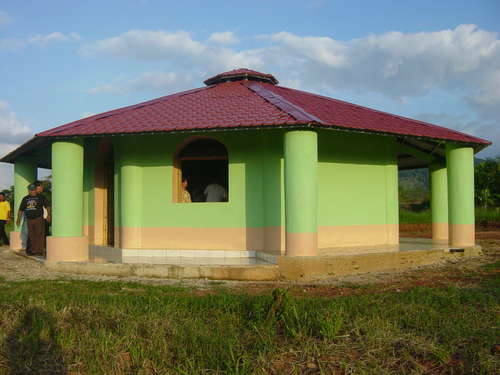 The Defenders of the River Aguarico built an info centre from ecobricks and completed the roof with opened out bottles. 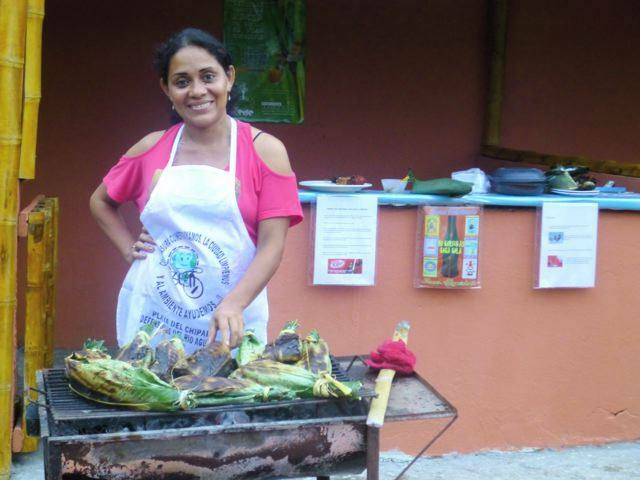 Due to their motivation I have helped them build the first ecological restaurant in the Ecuadorean Amazon. 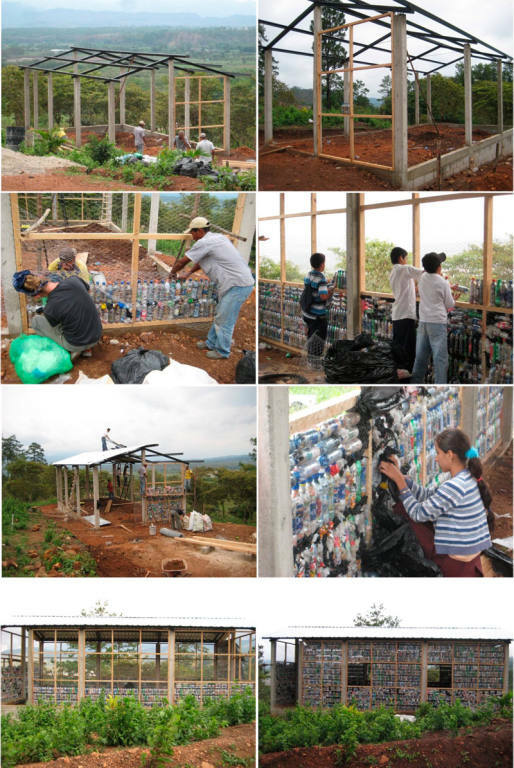 Built from 3200 large plastic bottles filled with rubbish. Although one of the main crops of the region is coffee this is the first restaurant to serve local coffee (not Nescafe) and mocha (coffee, chocolate, sugar and milk) ; the true taste of the Amazon. Another difference is the goal to eliminate rubbish. The food is served and wrapped in banana leaves rather than plastic bags and polystyrene plates. 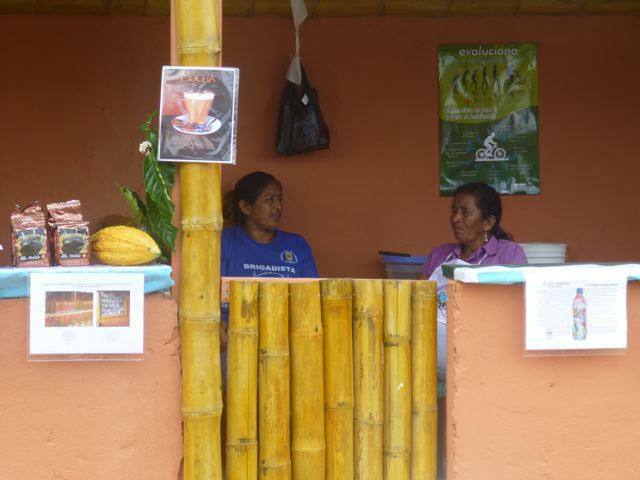 Also no Nestle or Coca Cola is served, only local food and products by Ecuadorean companies. An eco-brick bench I built in Livingston, Guatemala. In 2014 I was invited by Ecopazifico to help with the terrible rubbish problem in the pacific coast of Colombia. Its so sad to see such quantites of rubbish being washed up on the beaches every day. The amount is overwhelming. 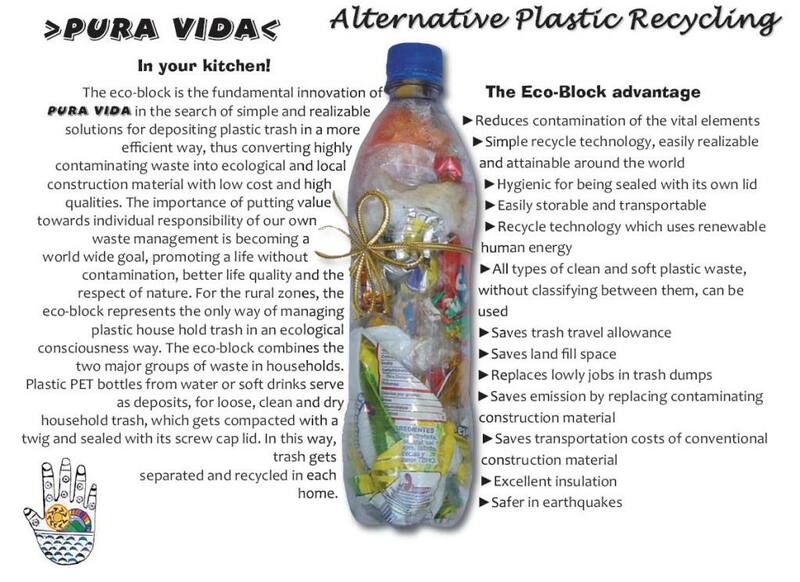 Too much for ecobricks to deal with. The real solutions are the machines that chip plastic and melt it down into other materials, creating plastic bricks and wood like posts . This helps with deforestation and is a building material which lasts a whole lot longer. A business out of Buenaventura decided to opt for the brick option and my latest report back from Colombia is how quickly the beach has started to be cleaned up. By seeing this not as a problem but a business opportunity which also helps socially by creating employment, the side effect is it also helps the environment. The other machine I have been promoting is an incredible japanese invention which converts plastic back into petroleum, diesel or kerosene. For now we must deal with the situation in the best way we can. Thousands of sandals are washed up on the beaches every day. Instead of using cement as a base we built a 20 cm base of shoes to protect the adobe bench. 10cm below ground and 10cm above. There is a saying when working with adobe (clay, sand and fibre) The structure must have good boots and a good hat to protect it from the elements. Working with the children is always so great. 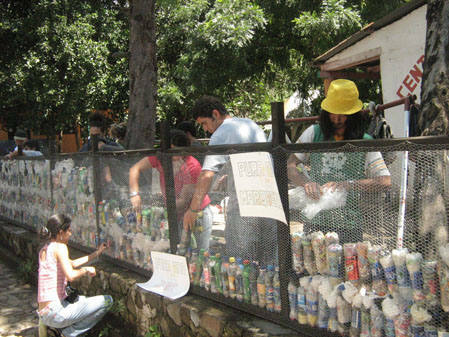 They would eagerly wait in turn to push their ball of adobe between the eco bricks. 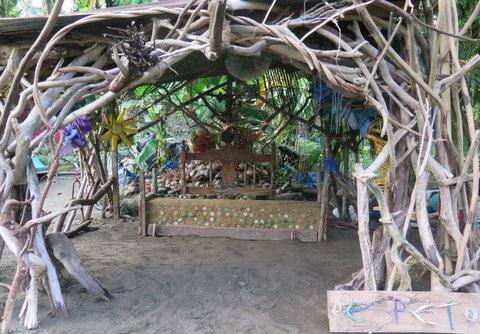 The bench was built with 200 ecobricks and mix of clay, sand and coconut fibre. A fantastic Japanese artist Yamda Takuo helped to beautify the structure with driftwood and other pieces of 'art' found on the beach. Anything inorganic, clean and dry.....plastic bags, batteries (if unable to recycle them), straws, cigarette butts, packaging, even plastic cups, polystyrene plates, forks, spoons etc which appear too large to enter the bottle top can be cut with scissors and pushed in. Using a stick to poke it all in, a huge amount can be compressed into the bottle until it is hard.....like a brick. Please click on pictures to enlarge.. 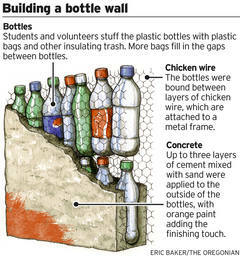 Some great examples of what can be achieved with just using bottles as bricks. Get creative , chicken coops, compost bins, benches , retaining walls there are so many ways we can all use this fantastic idea in our own communities. Please help me spread the word and bring this practical solution to the world.